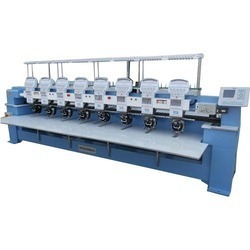 Prominent & Leading Manufacturer from Surat, we offer high speed mix taping cording flat embroidery machine, semi high speed beading embroidery machine, high speed laser embroidery machine, cap function tubular flat embroidery machine, tubular function embroidery machine and high speed embroidery machine 1200 rpm. 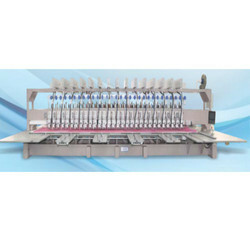 We are a trustworthy organization in offering a wide gamut of High Speed Mix Taping Cording Flat Embroidery Machine. 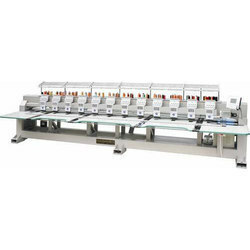 We are a trustworthy organisation in offering a wide gamut of Semi High Speed Beading Embroidery Machine. New DS Speedy Head Speedy, Quiet & Durable. Beading Device Workable on more size & shapes of glass beads. Sync. Colour change Synchronised and assured smooth feeding of beads. 8" OP Box Cost Effective but still powerful. Motorised trimming Precise & Steady. Upper Thread Holding Automatic & Assured. Dual Sequin Device Quiet, Precise Cutting, Universal sizes & shapes. X-Y by Servo Motor Fast Precise Motion. Optional with OLH beads device " more smooth and stable working. High flexibility Bending radius of Co2 energy-transmitting optical fibre is less than or equal to 20cm. Relying on its flexibility, it can eliminate impact of mechanical vibration brought by embroidery machine on laser transmission and ensure stable laser output to the embroidered cloth. High efficiency The machine has high processing efficiency, and can be refit according to the needs of customers and the number of embroidery machine heads; the number of laser cutter bits can be up to that of embroidery machine heads. High quality the energy of this laser optical fibre computerized embroidery machine can form a 0.2-0.4mm light spot after passing through the Co2 energy-transmitting optical fiber. The machine features small cut marks, good cutting effect and high quality. High safety factor The laser optical fibre computerized embroidery machine uses optical fiber to transmit energy, protecting the operator and the operating environment well. Cutting width Consistent with the width of the embroidery frame (Each laser cutting head cuts at the same time). 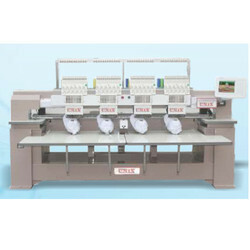 We are a trustworthy organisation in offering a wide gamut of Cap Function Tubular Flat Embroidery Machine. 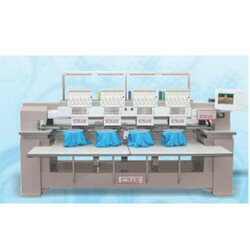 We are a trustworthy organisation in offering a wide gamut of Tubular Function Embroidery Machine. 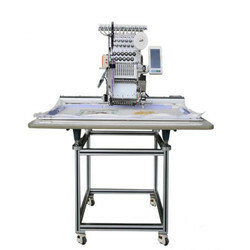 We are a trustworthy organisation in offering a wide gamut of 1200 RPM High Speed Embroidery Machine.